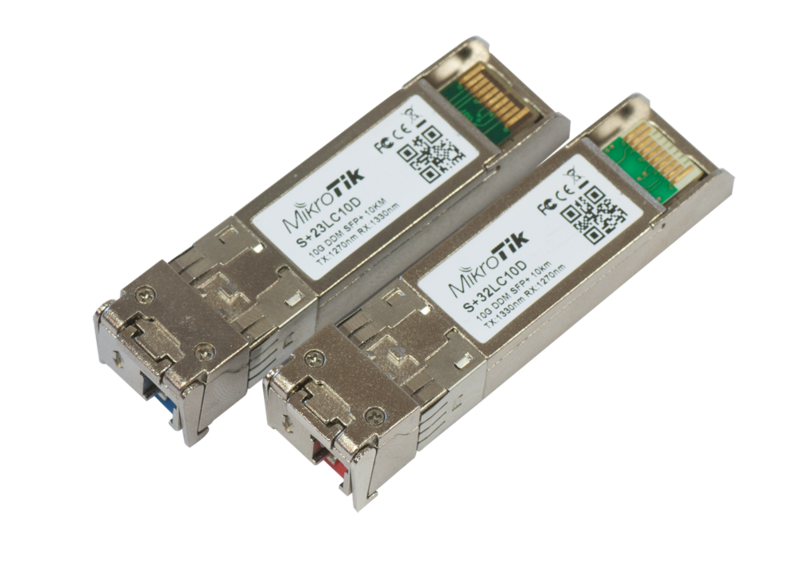 Home :: Fiber and Ethernet :: Mikrotik SM 1310nm 10G SFP+ enhanced single-mode fiber Module pair with single LC-type connector and DDM - New! 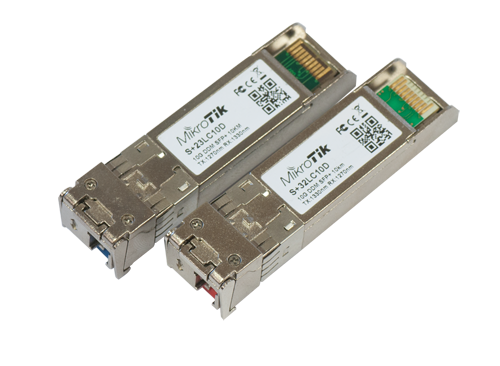 Mikrotik SM 1310nm 10G SFP+ enhanced single-mode fiber Module pair with single LC-type connector and DDM - New! Mikrotik brand SM 1310nm 10G SFP+ enhanced single-mode fiber Module with dual LC-type connector and DDM.